The Verderers Court sessions are open to the public each month – except August and December. 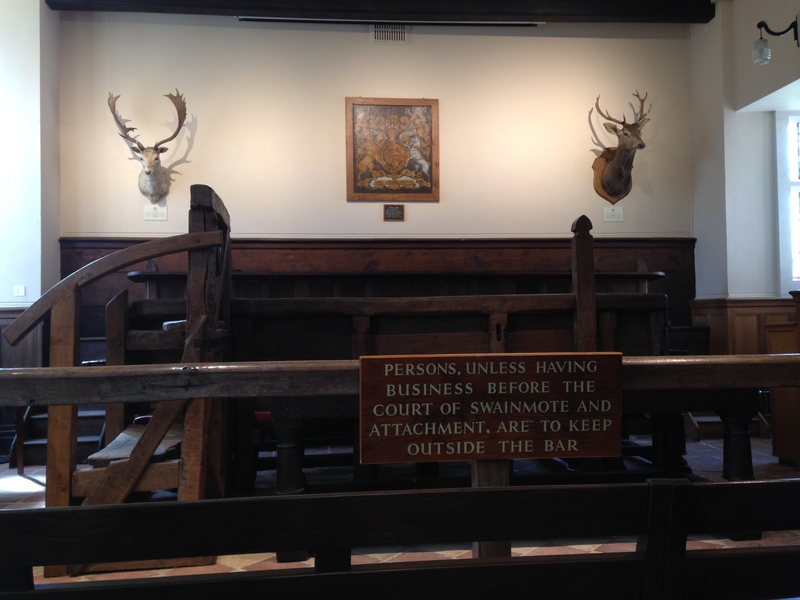 The Open Court sessions at the Verderers’ Court are a great way to learn about the Forest’s management and see one of its ancient institutions in action. Each month (except August and December) the public are welcome to attend and observe for themselves the administrative processes that protect the New Forest’s unique agricultural commoning practices; conserve its traditional landscape, wildlife and aesthetic character; and, safeguard a viable future for commoning. Members of the public can even make ‘presentments’ (formal statements of a matter to be dealt with pertaining to the New Forest), which the Court will later discuss and decide upon. One of the issues most regularly presented at Court are concerns about the numbers of commoning livestock killed or injured on the Forest roads. 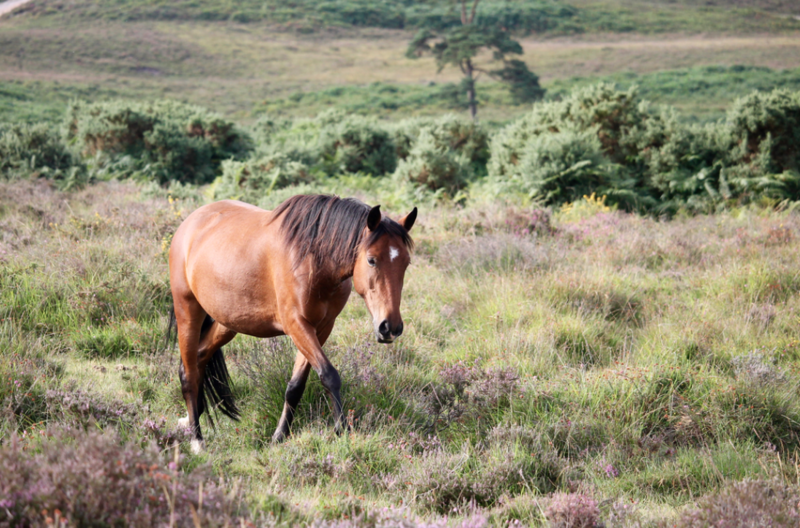 The free-roaming ponies, cattle, pigs and donkeys that belong to the commoners are a vital part of what makes the New Forest so special and the Verderers, along with many other organisations, are actively involved in supporting initiatives that attempt to reduce animal accidents in the New Forest. Therefore, the announcement at this month’s Court that the reward has been increased for information leading to the successful conviction of the driver (or drivers) found guilty of causing the death of or injury to Forest livestock as a result of a hit and run incident, was met with widespread approval. A cash injection, which was backdated to 1st January 2017, from the international charity Horse Welfare Trust, the Commoners’ Defence Association, the New Forest Pony Breeding and Cattle Society and the Verderers of the New Forest, has significantly enhanced the previous reward of £1000 to £5000. Hit and run incidents involving Forest stock are among the most heinous that occur on the Forest roads. Callous drivers who have been involved in a collision with the free-roaming stock have then driven off and not reported the incident, leaving the animal in agony and distress either with injuries requiring immediate veterinary attention or fatal injuries that would necessitate the animal to be put to sleep. Some of these animals run away in fear and panic, even on broken limbs, which makes the drivers falsely believe that the animal is unhurt and as a result the animal can suffer unnecessarily. It’s difficult to imagine how a person could be so cruel. On Wednesday 9th May, at about 7.30pm, for example, one of the Agisters was called to attend to an injured steer on the Linwood Road. On the way to the scene of the accident, the Agister found a pony with a broken leg. A witness had seen a white Audi hit the steer on the bridge near Appleslade car park. The pony was nearby, outside the Red Shoot Public House. It is quite possible that the same vehicle had hit both animals. The driver (or drivers) did not report either incident, and it was the witness who had called the Agister. Unfortunately the pony had to be put down. The Verderers state that, for whatever reason, if a collision with a Forest animal occurs, drivers are required to report it to the authorities as soon as practicably possible, and certainly within 24 hours. Drivers must not leave the scene of an accident (unless it is to call for help), particularly if the animal is still on the highway as it may cause a further accident. Anyone with information regarding a hit and run incident on the New Forest, involving a commonable animal, is asked to ring the Verderers’ Office on 023 8028 2052, or Hampshire Police on 101. The Official Verderer also announced to the Court that drivers on the New Forest roads can also expect to see more activity from the mobile traffic cameras, information that was received with hearty approval by all those in attendance. This entry was posted in New Forest Animal Road Traffic Accidents and tagged £1000, £5000, accident, Agister, animal, cattle, collision, commonable, Commoner, Commoners Defence Association, court, Cow, death, driver, fatal, free, Hampshire, hit, hit & run, horse, Horse Welfare Trust, incident, injury, New forest, New Forest Pony Breeding & Cattle Society, NFPB&CS, pig, police, pony, reward, roaming, RTA, run, speed, steer, suffer, traffic, vehicle, Verderer, wild, witness. Bookmark the permalink.